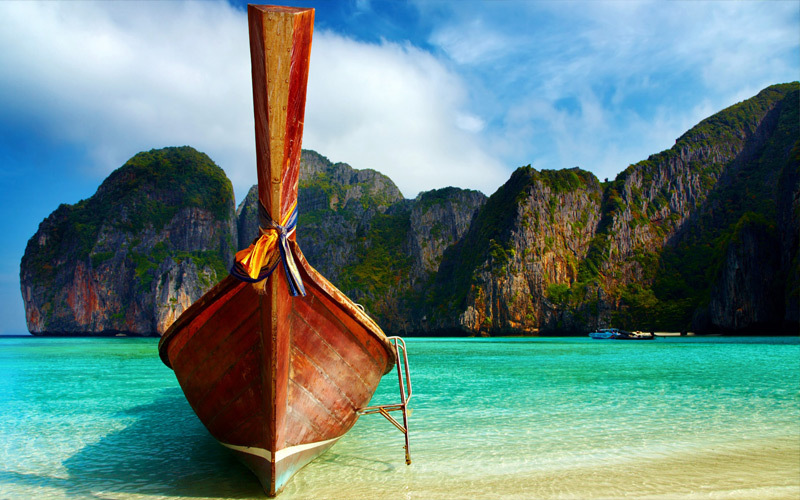 Maya bay : Since 1999 was filmed ? 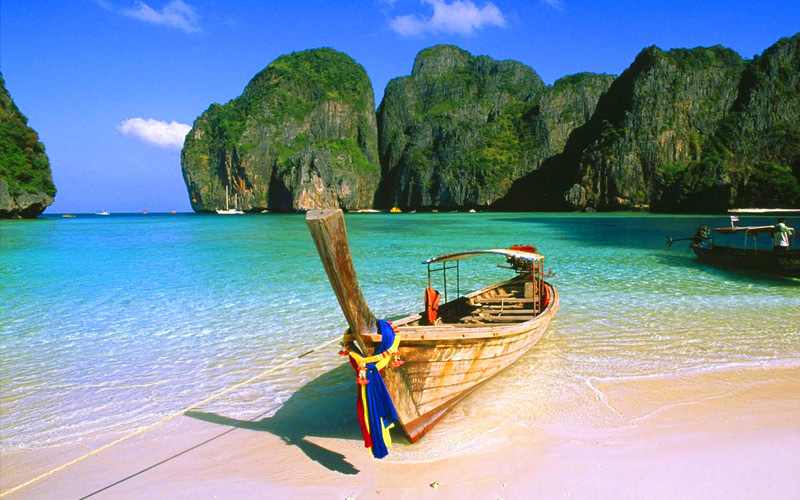 The Beach ? 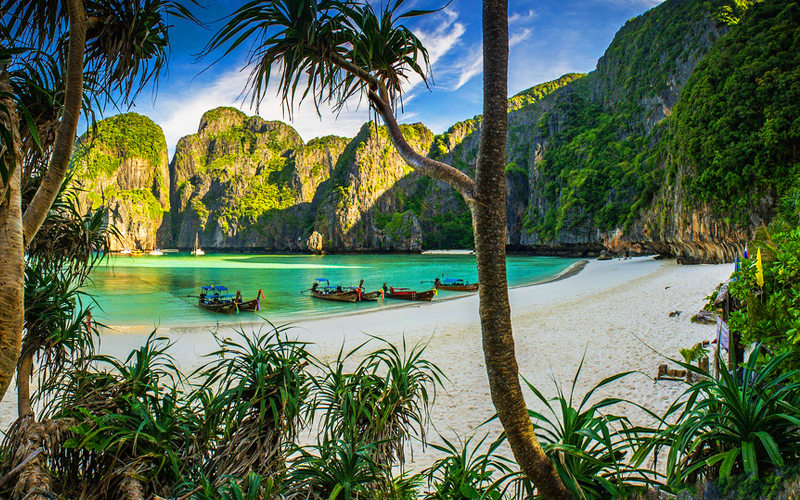 Movie at Phi Phi island and main location is Maya bay. 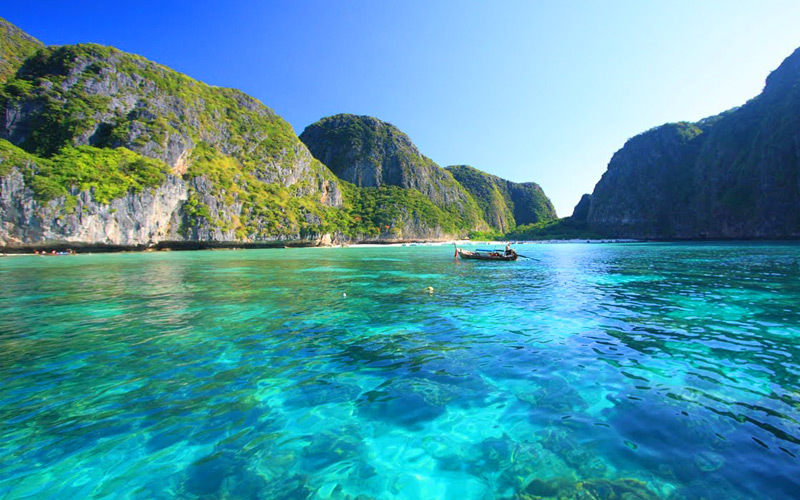 After that become maya bay attraction place for tourists. 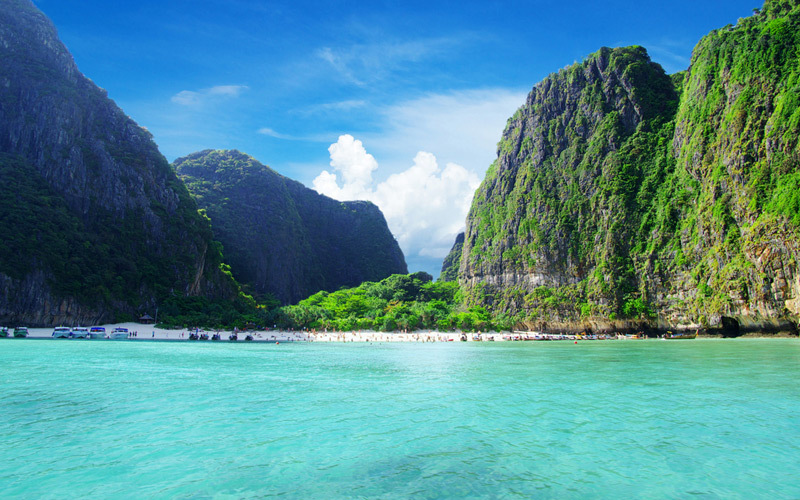 Maya bay is belong to Phi Phi Le island. Crescent bay cover by limestones. 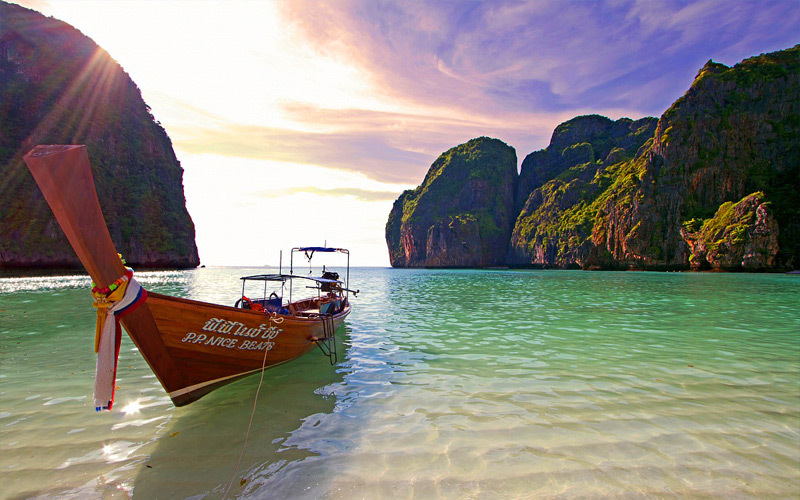 Maya bay is highlight of Krabi until can be say ? 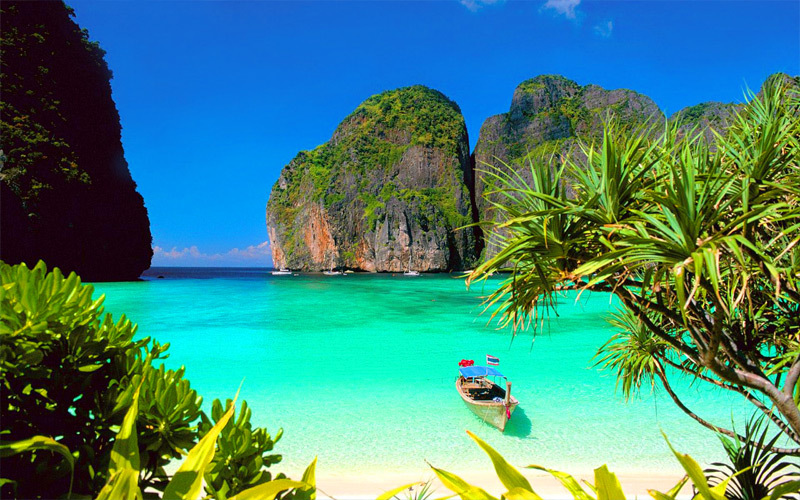 Who?s not arrive to Maya, He?s not arrive to Krabi ?. 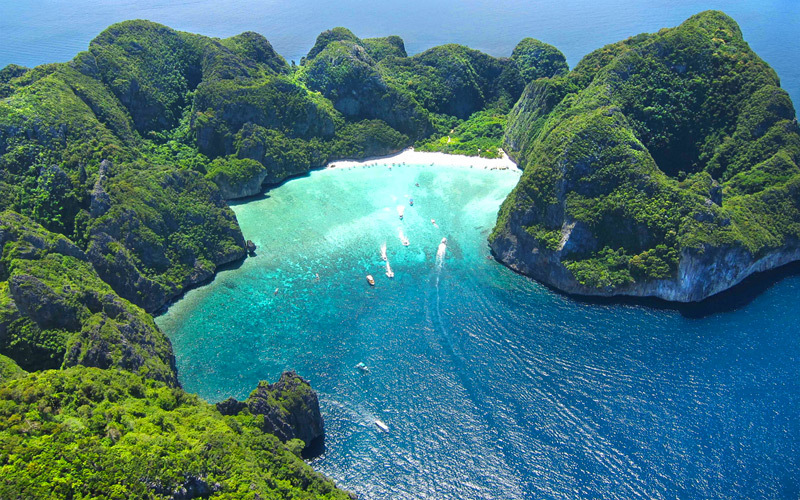 Soft white sand beach, green planet beach, emerald sea, fishes and corals reef, all can see there.